Look at your phone. Now look at me. Now look at your phone. Now me. Okay, how many apps do you have installed on your droid? 50? 100? I bet you don’t even know! 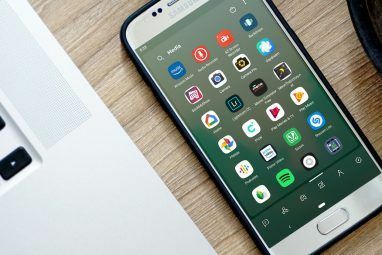 Pareto’s principle says you only use a handful of all of those apps on a routine basis, and you probably have that handful of apps comfortably nestled on your homescreen, amongst friendly widgets. But what about all of those other apps you’ve got installed? That game you only play once every two months, or that special camera app that only gets use when you remember it exists? To start those, you probably pop open your launcher’s app drawer, and scroll through screen after screen suffocating with a dense grid of icons, looking for the one you need. Ugh. Well, it really doesn’t have to be this way: You could be using Google Gesture Search [No Longer Available] for those infrequent apps, and for contacts and settings, too. It’s an official Google app, and it’s free. I just start scrawling “A”, “N”, and so forth. Google Gesture search recognizes my handwriting (or finger-writing, really), and quickly offers up results after every letter. You don’t have to draw capital letters, either: Lowercase works just fine. You can search contacts with phone numbers, all contacts, browser bookmarks, apps, music, and settings. Honestly, I would advise you not to switch all of these on: Having too many results can just make for a frustrating experience. What’s so great about Gesture Search is that it usually takes just one or two letters to get to the app I want, so it’s super-fast. Gesture Search also lets you control the writing speed; that’s important for drawing letters such as “X” where you have to take your finger off the screen midway through the character. If you set the writing speed to be too fast, you’ll end up drawing a slash and a backslash (/ \) instead of the X you were trying to get. If you’re going to use Gesture Search to launch infrequent apps, you obviously need to be able to launch Google Gesture Search itself in a snap. Here you have quite a few options; first of all, Gesture Search offers a built-in “motion launch” feature: It can listen to your phone’s motion sensors and detect when you’re flipping the phone in a specific way. When you do that particular motion, Gesture Search launches. This is cool in theory, but I personally don’t like it so much. It means Gesture Search is drawing power even when you’re not actively using it (because it’s listening for the gesture), and you also have to learn the gesture itself. 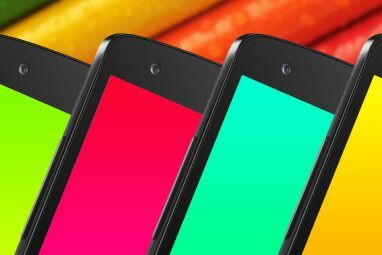 Above you see the amazing SwipePad SwipePad - A Stylish Quick-Launch Utility For Your Android Phone SwipePad - A Stylish Quick-Launch Utility For Your Android Phone SwipePad, in its simplest form, is a quick-launch pad (for Android 2.1 and above). It constantly runs in the background (and takes up a line in your notification area). When you touch one of the... Read More , a launchpad I wrote about over a year ago and is still one of my most-used phone utilities. I swipe my finger in from the right and this pad of common tools pops up, with Gesture Search being first. This means that all I need to do to launch Gesture Search from any app is just swipe my thumb in from the right side of the screen and quickly let go. It takes an instant. The other way is using Nova Launcher Nova Launcher - Even Better Than The Default Android 4.0 Launcher Nova Launcher - Even Better Than The Default Android 4.0 Launcher Up until Ice Cream Sandwich (Android 4.0) came along, Android’s interface felt somewhat less polished than iOS’s. 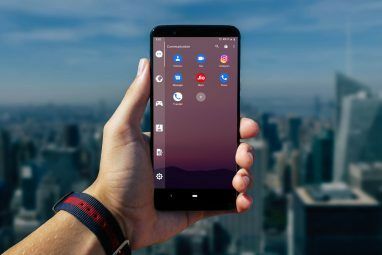 But with Android 4.0, Google made a clean break with the previous visual style for Android, introducing Holo... Read More , my launcher of choice. Nova has great settings for detecting gestures, so whenever I swipe down on my homescreen, Gesture Search launches (swiping up starts Google Now). Between these two gestures, I always have a fast and easy way to start Google Gesture Search, and from there any app I need. I almost never have to rummage in the App Drawer in search of an app I need – only if I happen to forget its name but remember its icon (a rare occurrence for me). That’s my bottom line here, really. Gesture Search is one tool that should come with Android by default, and you should be using it every day for your once-in-a-while apps and settings. It’s one of those tools I continue using even after switching phones or ROMs – Gesture Search comes with me, always at the ready for the next app. Will you be trying it out? Are you already using it? Let me know below! Explore more about: Android Launcher, Gesture Control. What happened to gesture search. I got a new phone and I can't find it ? Been using it for quite a while....very useful tool....especially good if you wanna play a specific song out of your extensive collection in the phone. Awesome. Dolphin browser had a similar way to get to a website. But this takes that to a whole new level. Might be helpful for searching an extensive contacts list. you did say it could do that right? Yup, can definitely do that (as long as your contacts are saved in English, I believe). Google should integrate all their Android search apps. There's a voice search icon in the standard search app, so why is gesture search not there? interesting. I'm at least going to look into it. Thanks for the tip! I have about 300 apps on my phone and I am constantly going through it looking for what I want. This is one of the coolest apps if you use it right. Can boost your speed a lot. very good to get what you need in no time. Assign to apps or tasks which you use frequently. 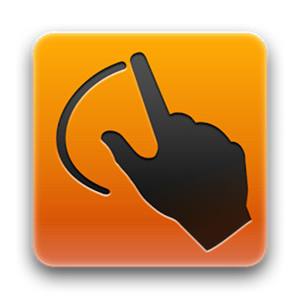 I already use the Google Gesture Search extensively on my Samsung Galaxy Chat GT-B5330 phone. It is pretty helpful for me atleast. That seems like it would be too awkward to be used on an everyday basis. Agreed the standard app drawer is quicker than the sugestion in the article. Well, I think it really depends on how many apps you have installed on your phone. As soon as you have over 50 apps or so, I think that Gesture Search is going to trump a grid of icons for efficiency. But that's just my own opinion of course.